Obasanjo has no moral right to comment on national issues, says Orji Uzor Kalu – Royal Times of Nigeria. 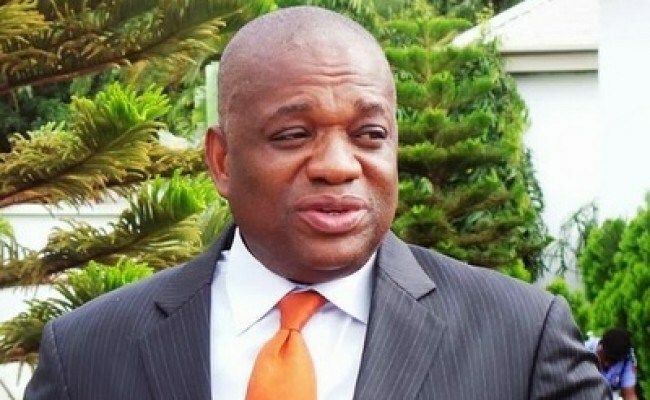 Former Governor of Abia State, Orji Uzor Kalu, has berated former President Olusegun Obasanjo over his controversial open letter to President Muhammadu Buhari. Obasanjo in a letter released scored President Buhari low on many grounds, accusing President Buhari of nepotism and being slow to action. The former president then called on President Buhari to resign immediately and go back to his home to rest. Orji Uzor Kalu, in an interview with newsmen at the Murtala Muhammed Airport 2, Lagos on Thursday said Obasanjo lacked the moral right to comment on national issues. The former governor stressed that the Buhari government might appear slow but it had done way better in tackling corruption, than the PDP. He said, “I am not going to talk about former President Obasanjo’s letter because I am going to make some consultations with the United States, Germany, China and the United Kingdom, then I will come back and speak on that letter. I think Obasanjo’s letter is not in the best interest of Nigeria. I don’t want to reply him because I have given you example times without number. There are three express roads Obasanjo refused to build when he was the president of Nigeria; Port Harcourt-Okigwe-Umuahia-Enugu expressway which is being built now by the Buhari administration. Another one is the Enugu-Awka-Onitsha Expressway. It is being built now by the Buhari administration. Obasanjo did not build it. Then there is the Onitsha-Owerri-Aba Expressway. The Buhari administration is building it now. Between Obasanjo and Buhari who should I call my friend in real terms? So Buhari is my friend; so he is a better President. I don’t wish to reply that letter because the former president has no morals that should qualify him to write that letter,”. According to Kalu, Nigerians have also not forgotten the $16 billion wasted on building power plants by the Obasanjo administration which yielded no result.